Try this Tree Pose to be done Anywhere! Upper Body - Heart Centered Yoga Break! 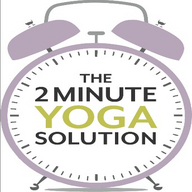 I am taking a break from the show because I have a publishing deal to write a book, The 2 Minute Meditation Solution- and I want to feature YOU in it! To learn more about Feel Fabulous in 90 Days with 2 Minute Meditation and how you can be in my published book click here.